When you’re running a small business, the last thing you want to be doing is fighting with your IT. Technology, used properly, can make your business efficient and profitable. So if you’re struggling to keep your technology going or maybe aren’t seeing results, these 10 tips can help generate real benefits for your business. 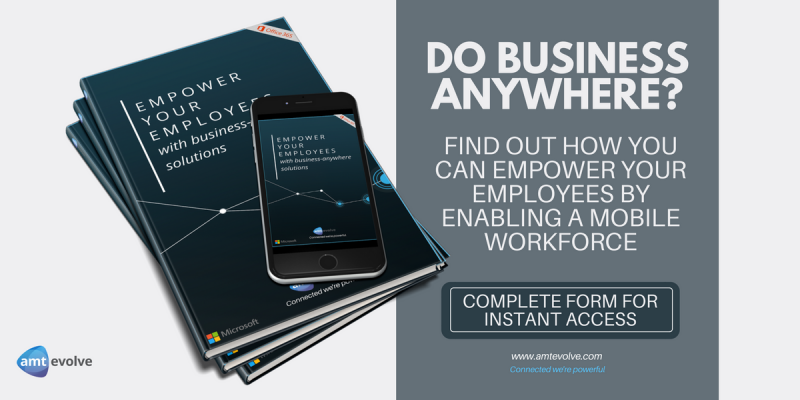 Another way to make your business IT more efficient and profitable is to empower your employees with business anywhere solutions. Today’s anytime, anywhere culture is promoting the steady growth of a mobile workforce. Therefore, having a business that can be accessed anywhere, and that is secure, is a great way to improve collaboration and communication. Smart business leaders need to boost productivity by providing a workplace that securely supports mobile teamwork and flexible work styles. The reward? Employees work better together. They can access business information anywhere, and your data is protected wherever it goes. Learn more about business anywhere solutions, here! Fill in the form below and you will get instant access to the guide where you will be able to find out more about empowering your employees. 60 Second Briefing – What are Office 365 Groups? previous post: Digital Transformation: How can it benefit your business?